It’s official. The very first release in the Blender 2.5 series is a fact. The first lines of code for it were coded back in 2007/2008, with the development pace picking up since Wintercamp 2009. Thanks to the hard work of many developers Blender has now an amazing array of new features and improvements, like editable keymaps, new animation tools, improved and unified data API, and so on. I have had yet again the honour of creating the packages for Windows, both 32bit and 64bit. For now I have decided to do only .zip archives, as the installer is another project all by itself. The old one had so many issues, that I didn’t want to have it annoy people more than it should. It will be worked on, but for now it is not a main target. A new script for creating an installer has been submitted by Bobalicious, but it needs testing and improving before it can be called stable and usable with confidence. Hopefully the packages work out for all users. If you experience any problems, then please, comment on my blog. I’ll try to address all arising issues and answer them as soon as possible. there is a small bug when cuing up the User Preferences window from the “File” menu. The text goes so blockly it is completely unreadable… same thing happens when you duplicate a window into a floating window. This is probably related to your videocard and/or its driver. I’m running the release (both 32-bit and 64-bit) without problems on Windows 7 64-bit (RC). My graphics card is ATi Radeon HD 3450 with driver 8.632. What card are you running? um, a Mobile Intel(R) 965 Express Chipset Family. Hmm, I see it now happen on my work machine too, which has a similar chipset. I haven’t looked into drivers for that, though. I have found that the user preferences window comes with good text quality, so I just work from that window on by subdividing the space. It’s suboptimal, that’s for sure, but for me on this machine currently a workable workaround. Oh, I also noticed that setting drawtype to overlap, or even full, seems to fix it somewhat. I’ve had a few graphical glitches with previous regular Blender builds in Vista before, but these went down once I turned off Aero. No such luck now. Does changing draw buffer style of Blender (in user prefs, system)? 6. Open blender again and observe that Vertex color is still black. Windows Vista 32 bit. Download is extracted to a folder on the desktop. It’s not an error on your part. Themes are not yet saved with preferences. Watch out for this environment variable! On my win32 XP system, this variable was set by some python installer that I ran and it caused Blender to crash on startup. The fix is to remove the environment variable (My Computer->Properties->Advanced->Env Vars). Yeah right… but if you remove it.. blender 2.49 can no longer find my python install… which I need… not good! Sorry, should have tested before… In stead of removing the pythonpath environment variable… just rename the python25 folder in program files (if that’s where you installed). Then when you start blender 2.5 it can’t find the installed python version and it runs. And if you want to start blender 2.49 rename to python25… and that runs as well. Hmm, you should be able to use different blender versions that all use a different Python install. If you have installed python using their installers that set up their environment properly, I think you should not need to use the entire PYTHONPATH environment variable. What does 2.49 complain when you try starting it without PYTHONPATH set? The other easier hack would be to have a .bat that for its environment does set PYTHONPATH= and then calls blender from within that environment. Does this happen with the default scene? Blender should not crash on any computer! Could you give the specs for the crashing machine? Specifically videocard, driver and OS? Actually, could you test something? Can you try to open a new window with Duplicate Window? odd… when i render with the duplicate window open, it’s fine. but if i render from the single window, it “encounters a problem and needs to close”. driver is nearly a year old, i’m updating to see if that helps. i’ll let you know. I have tried to start B2.5 on my laptop, but some parts of the UI is missing (“no file, add, help,…” tab, nothing in the properties editor, no tools in the tools shelf, etcs. Only the Outliner seems working. Moreover, I get multiple RNA errors ( like : “RNA_sting_set: Operatorproperties.path not found”, or “Systemerror,…\Objects\object.c : 601: badargument in internal function” ). The strange thing is that alpha 0 is working very well on my desktop computer ( and by the way, congratulation to all the blenber team, it’s awsome). I really can’t see what I am doing wrong. You don’t have to install Python 3.1 separately. From this release on Blender on Windows comes with a fully bundled Python 3.1, including its extensive library collection (minus some test related modules). From this release on the Windows versions will also come with all necessary runtime DLLs, so installing msvc redist is not necessary anymore either. You might have a problem similar to what cyrfer in comment #217 experienced. To quickly verify, you could start cmd.exe, cd to where you extracted blender and before running blender give the command: set PYTHONPATH= (note the empty value for the environment variable!). 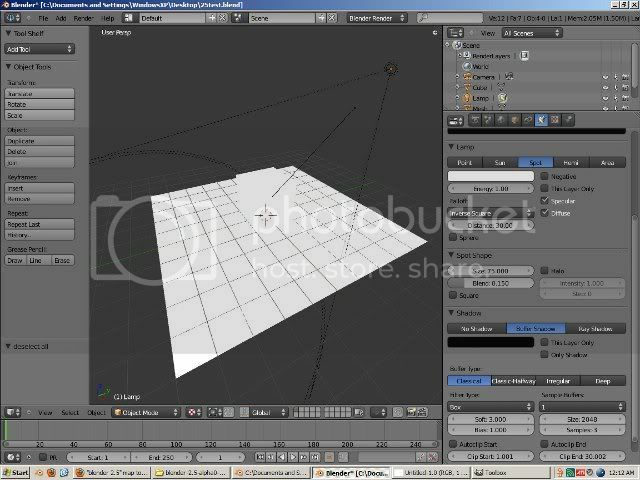 Then start blender from the same command-line. If this works, you have a similar problem like cyrfer = conflicting Python installs through environment variables. 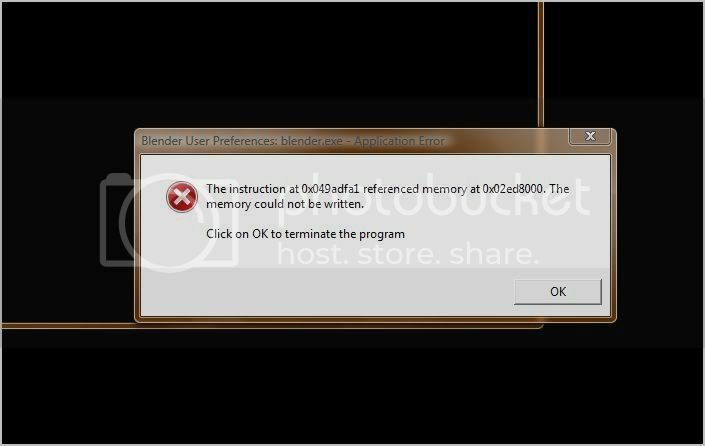 Ok,I just tried to launch blender from the cmd.exe. Even without setting “set PYTHONPATH= “, it works (with a few errors in the blender console, but it works. )… Strange. I tried with set PYTHONPATH= , but errors in the console are still there. But it works too. Hmm, I wonder what then the issue may be. Some time ago I had a problem the other way around: running from command-line was impossible, but double-clicking worked fine. Unfortunately, I’m not sure what I did to fix that. I’ll try to reproduce on my end to and see if I can find a solution. Ok, I don’t know if it could help you, but, after making some tests, the last version I manage to get with UI in my laptop is 24517 (but with errors in the console too). I also have an env. vars called vs9common tools, for visual studio, but I don”t know if it could cause the problem. Anyway, thanks for the help. If I find something here, I’ll let you know. The problem in this case turns out to be accented and other non-latin characters in the path where blender is located. I’m guessing that Stephane has somewhere an é or something like that. Running blender from the explorer then gives problems (for some reason works fine from cmd.exe). To work around this, extract blender to a location that contains only a-zA-Z and numbers. scott, please see comment #217 and my reply in comment #223. I’m guessing you have a similar problem here (some installation set PYTHONPATH to an ‘old’ Python installation – pre 3.1). Whenever you feel bold enough, do try some later release though, even if it were only for toying around. On my laptop when I try to open the Preference editor, Blender crashes. SiS m760GX, 64MB graphics card. Works well on my desktop (WinXp sp3, but much higher stats). Does Blender crash also when you use Duplicate Window or try rendering to New Window? I have had a bit of issue with compositing nodes I can’t give my full system pics for my laptop as I am not using it at the moment; of the top of my had its an acer aspire with intel mobile graphics chip and 32bit vista single core celeron and 1gb of ram. My model renders properply but when Blender starts going through the composite nodes it crushes (its just a simple ‘glow node setup). I will try and post a bug report a bug with the file; the model and node setup were done in blender 2.49 I just opened it in 2.50aplha to see how fast the new renderer was. Hmm, I have also an Acer Aspire with ATi mobility at home. Maybe you could upload your .blend to pasteall.org/blend and link here for me to test too? Many thanks for your hard work on the Alpha0 builds, and also for previous time taken on related projects ( eg getting Windows Collada to work ) – it’s very much appreciated! Here is a weird window behaviour.. blender 2.5 crashes on creating any new window or viewport giving a segmentation fault. But, it does not happen if i render once in image editor and then choose new window as output and render again. And after that one can create as many windows as they like. I’m on ubuntu 9.04 32 bit and using nvidia drivers v190.42. Please do comment if you’ve been facing a similar issue. @nathan I used pasteall.org to upload the file but am not sure as to how you will know its my file. I don’t know the were not that many options I called see just browse upload file and password protection. the file name is “dragon halberd” if that helps. Hi Nathan, I’m using the 2.5 alpha 64 bit in win7 with a wacom intous 3.. bit of an interface issue really.. the reposition 3d cursor conflicts with the little triangles things that you use to resize/split the view.. When I click and drag the resize triangle it often moves the 3d cursor under the triangle which stops you being able to split the view… which is very, very frustrating. Also the triangles seem to randomly split the view and join the view.. so once split.. I can’t join it up again..so when I try and join it up.. it just keeps splitting the view more and more… sorta works every-now and again. Maybe I’m missing some shortcut or something but right now it seems pretty random. Also if I resize the main blender window the blender window goes black. If you have photoshop open and are using a tablet (wacom in my case) blender crashes. This has also been reported at cgtalk by someone else. @handlebar.. really? No problems for me like that on win7 and tablet and PS with 64 bit version of blender. After the initial excitment for the release of the long waited Blender 2.5 release – me jumping up and down, screaming and drooling like a maniac -, I downloaded and tried it. Alas! No menus, no windows, no toolbars! The UI seemed mungled! Tears ran down my cheeks. After much sorrow, horror and searching over the Web, my – new! – friend, jester, found the solution. Upon downloading and extracting from the archive, I placed the folder on my desktop. That was the problem. Since I’m Greek, the path to the desktop contains some non-ascii characters – namely Greek letters – that seemed to confuse the pathways for the RNA system. Essential parts could not be found. The solution was simple: placed the folder under C:\. That was it! So, there it is! If you experience any problems with your fresh, 2.50 bundle, place the entire folder under C:\ – as long as your C has writing permissions. Thanks jester!!! @handleba, also using intous 3, and win7 beta.. I did download some recent drivers for it a few months back when I installed Win7 beta. @Kirdo Thanks it was a wacom driver issue, using driver 605-7 sorted it. I’m just wondering either its just me having this.. when I unwrap object, put material and textures, choose uv mapping and activate texture mode.. objects turns white.. But, when I hip ‘p’ – play mode.. becomes ok..
..and realtime shadow didn’t work even when I’ve change the buffer size to various size. eg: 64, 128, 256, 512, 1024 or 2048. By the way, I’m using ATI9600xt. 2.49 works fine with the GLSL. AFAIK this is due to missing initialisation of GLSL, which gets done when running the Blender Game Engine, after which GLSL shaded 3dview works properly. My understanding is that this is still somewhat WIP. The interface for this is in release confusing. Next to the Edit button you see [Window ], click it, delete the text and you’ll see that the text field is actually a search box, where you can look what different parts there are. This has been identified as a problem by the devs, and I’m sure a better solution will be implemented before the next release. ah yes, I see said the blind man, heh. XP service pack 3, Geforce 6800 with driver version 7.1.2.4. A lot of properties not found according to command line. Your problem is that you have accented (ë, é, î etc) or other non-latin characters (like greek letter µ for instance) in the path where you extracted the release build. To work around this, extract blender to a path that doesn’t contain such letters. Maybe on a stick or seperate drive, or just in the root of C:\, so you get C:\blender-2.5-alpha0-win32. Run blender from there, and you should have no problem. Loopcut and Slide doesn’t work in face mode. blender 2.5 is not working on vista 32 bit ati radeon x1400 :( just hanging ….. no message on console apart from bundled python message. Hmm, just hanging blender doesn’t help in using it :/ Does this manifest itself like an incomplete looking GUI that is waiting to get drawn entirely? Yes the screen is just grey nothing is drawn to it at all, I am guessing it is prob a graphics card incompatibility issue? It doesn’t look like just an incomplete UI? And having RNA_* related error messages in the console window? If it does, do you have accented characters (like é) or other non-ascii/latin characters (like µ) in your path where Blender is? If you do, put blender in a location where there is no such characters in the path. If not, then I have to think harder. On my ATi machines (I have no NVidia ;) ) Blender runs fine. I have ATi HD cards though (3450 and 3100). All I can now think of is ensuring you have the latest drivers for your card and play with graphics settings, like dropping out of Aero (use ie. windows classic theme) and play with graphics card settings. First of all congratulations to the Blender developers for the important milestone. I installed the new version, and I also tried some of the previous builds. One thing I am not able to find is the possibility to change the interface font. I added in the preferences the correct Windows font folder , but I don’t see any place where to choose them. I am missing something or this is still a missing feature? I think I narrowed down my problem better; I can render my file to either the image editor or the full-screen its new window that is the problem it also crushes if I try to render the default cube scene. the n and t key open the same tool option panel. be multiplicated in a window view port. Couple more things: Quad View seems to share the same keymap for Shear and Select Sharp, in object mode Shear was taking precedence. I had changed the map for quad view (foursplit) to CTRL+ALT+SHIFT+Middle Mouse before testing select sharp. I notice in the keymap, there is a Region Split but no Region Join (i actually mistook it for splitting a screen, not dividing the region within it). I don’t know how to rejoin the splits, haven’t come across that yet (luckily I was only making new windows when I ran into it). >>>Thought: This would be really nice if you could contextually split the Properties window for multiple functions, but that would probably be difficult to code in (I mean… you’d need to either remove/disable the button at the top, move it to the top of the column you wish to have it in, then figure out how to switch each individual column… not suggesting to actually try figuring it out, just a thought, since it is something I actually set up manually via screens with a material editing setup I used in 2.49). I take it the add button for configurations just hasn’t been included yet. Whenever I have more than 1 preview from the same screen visible, both screens keep flickering as if the two of them are trying to reload the preview. I ran into this when I region divided the material window of Properties while set to World. Probably an obvious problem of loading the same preview more than once in multiple places within the same screen one at a time instead of loading globally and distributing the result at different scales. Now this was a lovely trick… and pretty nasty… not sure how to prevent this in the future, but this could be particularly nasty for those foolish enough to do it. (And yes, I was stupid enough to do it, I wasn’t exactly sure at the time what “temp” was, perhaps a filter can be placed on screen selection to hide these and add a keyword block to prevent users from typing Temp in as a screen name?). 3) Return to the User Preferences window and close it. This will close the User Preferences AND Blender. Now – the nasty part. I’m not sure how (I’m sure I didn’t save default, I only closed the window) but something happened to blender to prevent me from being able to reopen it. I was forced to re-extract it (I probably could’ve just deleted the .b25 blend file, but didn’t occur to me). The last I recall seeing of the incident before the inability to reopen blender was the Blender debug window quickly spewing out many lines of errors before closing itself down. And just a silly question to leave off on before I see what else I can break accidentally… I assume themes can’t be saved yet? Or is there another method I need to follow to save it other than user defaults? hi there. would love to try 2.5alpha, but I can’t get it to run at all. All I get is a blank console and a error message box -[IMG]http://i49.tinypic.com/6i8k9i.jpg.I have tried things that I have read here that might have applied but no luck.I can open and run the bmesh test build of 2.5 though. old system i know but runs rock solid. Runs 2.49b smoothly and fast.Any ideas? thanks! Hmm, I’m not sure if there have been changes that fail on Windows 2000. IIRC I didn’t change settings between BMesh branch and the alpha 0 release, but I’ll check when I have access to the build machine again. It looks like offset on the path constraint is not working. When I add Toolbox in Tool Shelf and run it, Blender crashes. I am seeing a lot of flakiness in the instancing support under render performance. I have a scene with over 100 asteroids in the scene. Each asteroid is an empty that dupligroups a single asteroid mesh. Now each of these empties also has a LOC/ROT fcurve that makes them slowly drift about the scene at different rates. What i am experiencing is that when I render a scene using SMIDBVH, or any of the BVH accelerators, some of my empties in the scene loose their dupligrouped mesh. So all that is left after the render are empties in the scene. This is a permanent failure. If I render the same scene again, the asteroids that lost their mesh are truly gone. Sometimes if I scrub, they will come back into view, but I have also experienced a degenerative process where even more asteroids will fall out of the scene and then fail to render. Sorry I don’t have an exact way to reproduce this bug, I am just reporting my experience using the official 2.5alpha release. So if you use octree you still will see the scene correctly, no flakiness happening? When the noise modifier is applied to a Camera’s X rotation, it has no effect if the camera has a TrackTo constraint in use. It seems the Add, Subtract, Replace modifications do not work in this circumstance. I HAVE A PROBLEM IN LOADING BLENDER 2.5 alpha!!! it only display command line “Compiled with Python version 2.6.2. Blender 2.5 cannot be compiled against 2.6.2, but I guess you have PYTHONPATH set to an old python 2.6.2 installation. The array modifier does not use the material for the start or end cap object. Create three cubes. Make them red,white and blue. Assign an array modifier to the white cube. Then set the Start cap to the red cube and the end cap to the blue cube. The array modifier object uses the geometry from the start and end caps, but not the material from the start and end cap. Undo does not work correctly when the array modifier is applied to an object. Create three cubes, red,white and blue. Assign an array modifier to the white cube. Make the red and blue cubes the start and end caps for the array modifier. Now subobject edit the red cube to scale one side down by 50%. TAB out of edit mode and press undo. The cube should revert to it’s previous scaled form. Instead, it simply jumps to the origin of the white cube. There seems to be a problem when using the shrinkwrap modifier, in projection mode, to reveal an object when the source object is constrained to a curve with the Follow Path constraint. I reconstructed the shrinkwrap problem scene and I was able to get it to work with a mesh, but I think I have narrowed down the problem to the fact the Cull Faces does not work (in the shrinkwrap modifier) when the source object is a curve with a bevOB applied. Faces still pile up on the target object. As I am still working with the shrinkwrap modifier, I think I have found another bug. I took my working mesh based solution and simply enabled the stretch checkbox for the curve that the mesh is deformed to. This causes the shrinkwrap modifier to break. My guess it is not re-calculating the new bounding area of the mesh as it is stretched and is simply using the bounding area of the source mesh. This is too bad because I really want to use the shrinkwrap modifier to reveal meshes that are deformed along a curve. Iv been trying to use blender for the last 3yrs and every copy iv had has made my learning curb 10 times as long and 10 times as hard.. its very fraustrating especialy when you see what is being produced with blender… whole movies are being created.. i cant seem to get as far as square objects b4 my system crashes or the effect im trying to achieve comes out all wrong even though im copying from a tutorial… that seem to be my big issue with blender.. to me i think where as quality is concerned i aint seen anything better than blender.. but for usability i cant stand blender coz its way way way toooo unstable.. what works fine today wont work at all tomorrow.. why is this? since version 2.44 right up to 2.5 iv been having consistant problems in trying to do the most simplest thing.. like with the fluids … i cant seem to get any furthur than fluid in a square shape tank or a glass cup … iv tried to make it go through a tube… issues! iv tried to make it go round in a hollowed out letter … issues.. i cant do anything exciting with blender.. even today i installed yafaray plugin and that doesnt even work niether does the Povaray renderer.. i mean what is going on with blender… how do people make whole movies with this app yet i cant seem to do the simplest thing… i have over a thousand tutorials hardly any of what they explain works out the same especially when its time for all the exciting stuff… theres always some issue that makes you just switch blender off … i refuse to use 3Ds Max or Maya or C4D! Blender has and will always be my first choice every time but bloody hell is it unstable… what am i doing wrong? How can i get the right setup. 1. What is the best OS To Use? which is better for blender PC or Mac? 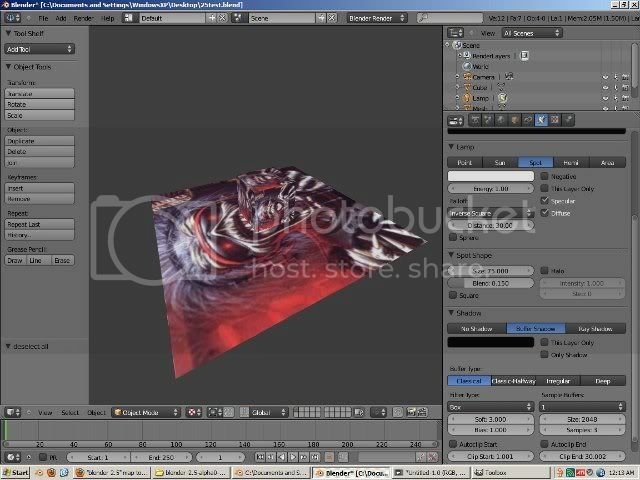 What do the profesional Industry user use when making a movie / Animation with Blender.? 2. What hardware spec should i be using.? 3. Which copy of Blender is the most stable? coz every copy i have is unstable in one way or another! 4. How do i use Yafaray / Povray with Blender 2.5? When i use Povray all i get is a Black screen. and Yafaray Tabs Dont show up in Blender UI! 6. The Fluid Physics works Properly in 2.5 but in 2.44 – 2.45 – 2.48 – 2.49 its all over the place. the settings are the same but gives different results evertime! When will Blender Be stable like Adobe Products? Please dont direct me to a forum coz iv just about had enough of forums … you get more rudeness thrown at you than answers to your problems….i need to have a direct link with a teacher who knows blender like the back of his or her hand…if you can answer these questions id be very greatful.